Home » life » This man took the 9-year-old girl home after her operation. A year later, her parents throw their arms around him. 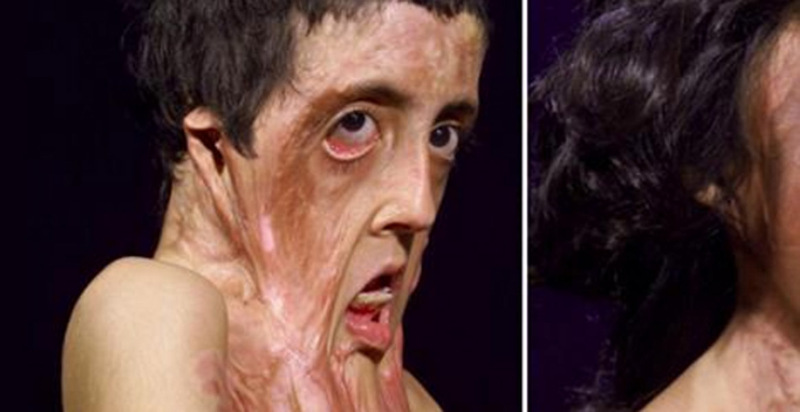 This man took the 9-year-old girl home after her operation. A year later, her parents throw their arms around him. Little Zubaida Hasan lived with her family in a small, remote village in Afghanistan. In 2001, when she was just 9 years old, Zubaida was caught in a fire that would change her life forever. The flames burnt most of her face and chest. Her burns were very serious. The lower half of her face had literally melted into her chest. Her parents took her to all of the local hospitals, but the doctors said they couldn't do anything for her. 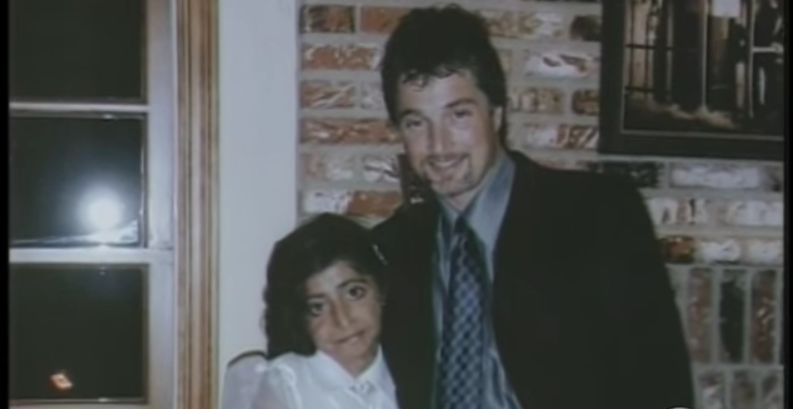 Then, in 2002, a year after the accident, her father tried taking her to a US military base. The soldiers there felt for Zubaida and her family. The girl was suffering from a lot of pain and was unable to eat or sleep since her eyes and mouth couldn't properly close. The base contacted a renowned plastic surgeon from Los Angeles, Peter Grossman. He specializes in burn victims, though even he acknowledged that Zubaida was a serious case. Zubaida flew with her father to Los Angeles to meet with Grossman and his team. 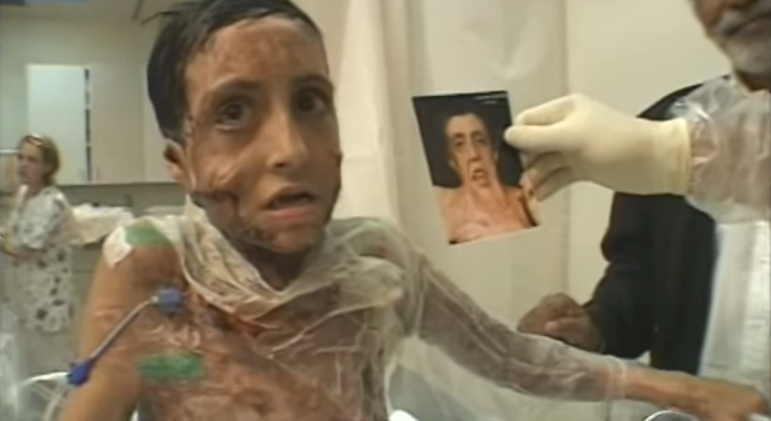 The doctor immediately knew he had to do something to help this child. He estimated her treatments would take some three years to complete as she needed to undergo many operations. 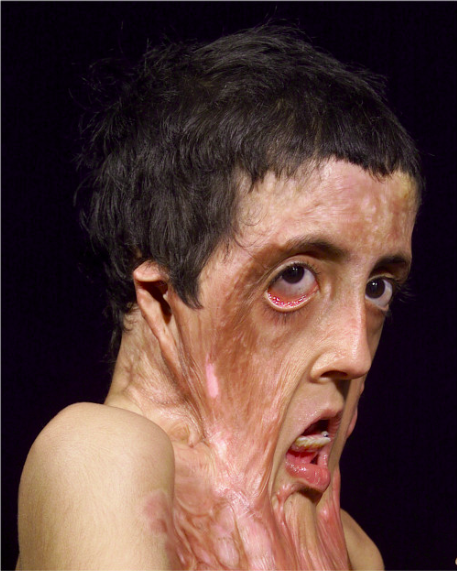 Grossman and his team used multiple skin grafts from her back during the operations. The surgeon proved his skills one operation after the other. 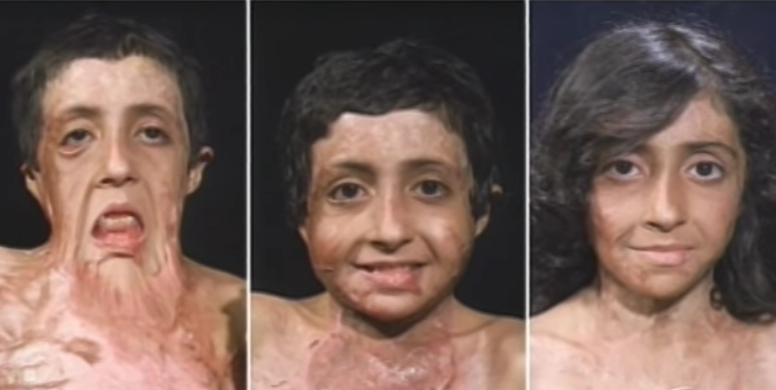 Slowly, the scar tissue was transformed into a little girl's face. During the series of operations, Grossman became very attached to the little girl. When Zubaida's father had to return to Afganistan, Grossman and his wife decided to take her in for the duration of her treatment. The Grossmans didn't have any children of their own, so Zubaida's presence brought humor and energy into their lives. Zubaida has a light, enthusiastic nature, and she's a gifted dancer. She learned English in 12 weeks at school and surrounded herself with new friends. She soon started calling the Grossmans Mommy and Daddy. She celebrated her 11th birthday and her 10th operation simultaneously. After just one year, instead of three, Zubaida's treatment was nearly finished - as was her time living with the Grossman family. Goodbyes were difficult on all sides, but they knew she had to return home. 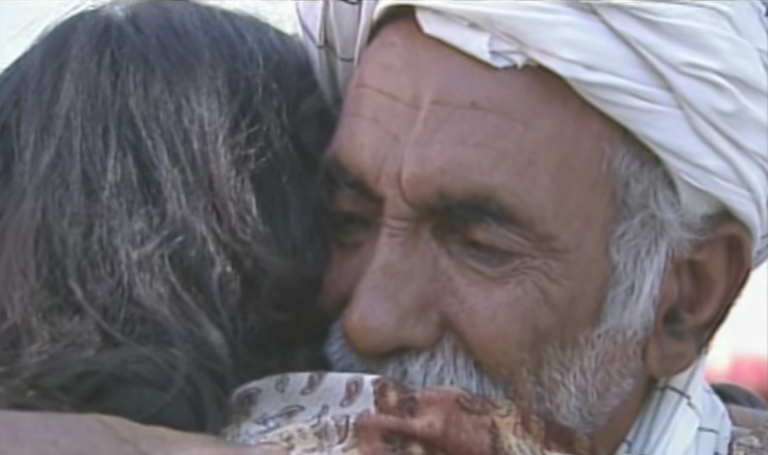 Doctor Grossman flew with Zubaida to Afghanistan to return her to her parents. The Hasans couldn't believe their eyes when they saw their daughter again in person. They were speechless. Doctor Grossman will never forget his patient, or his foster-daughter Zubaida. "If I find out that you got married at 13," he joked, "I'll give you a kick up the backside." Zubaida laughed. She and her family will be forever grateful for Dr. Grossman, their angel from America. What Grossman does is so admirable. He clearly goes above and beyond the call of duty. He sees his patients not just as problems to fix, but as human beings. A true hero!